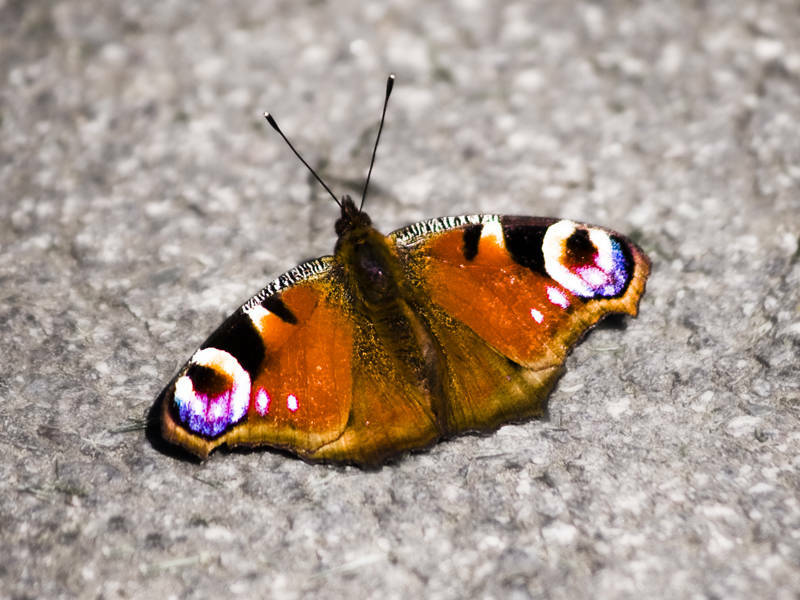 This Peacock Butterfly was sunbathing outside our house. To process the image I developed it using photoshops RAW developer. Once in photoshop I blended in layers to desaturate the background and keep the focus on this beautiful creature.